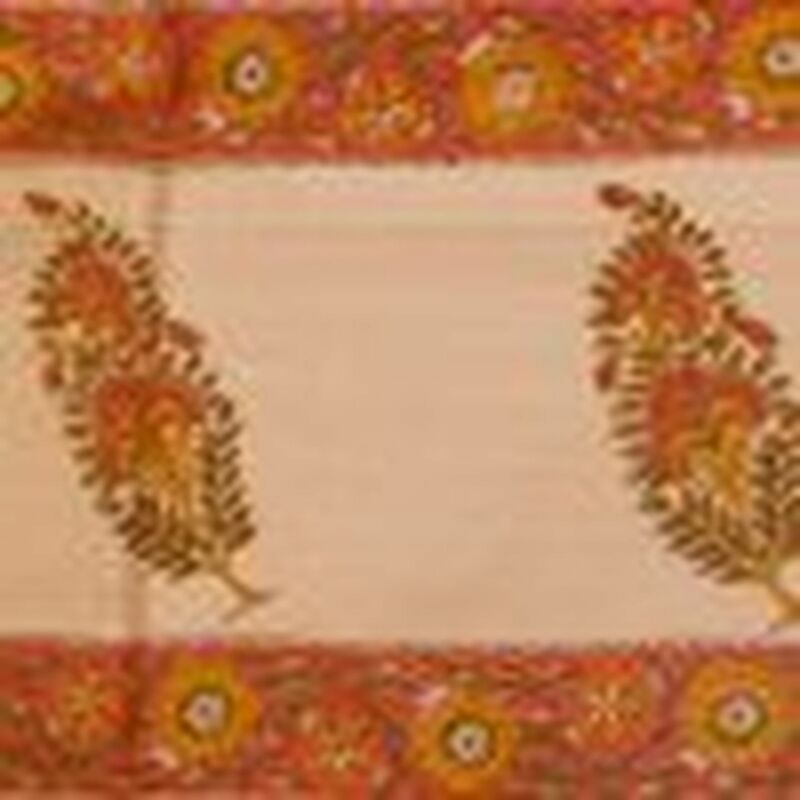 Heirloom Maheshwari weave with very rare version of Denting technique used. 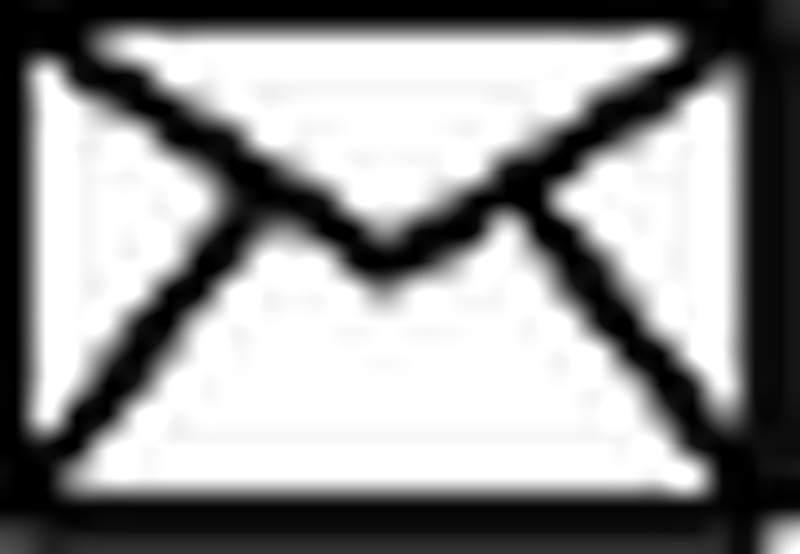 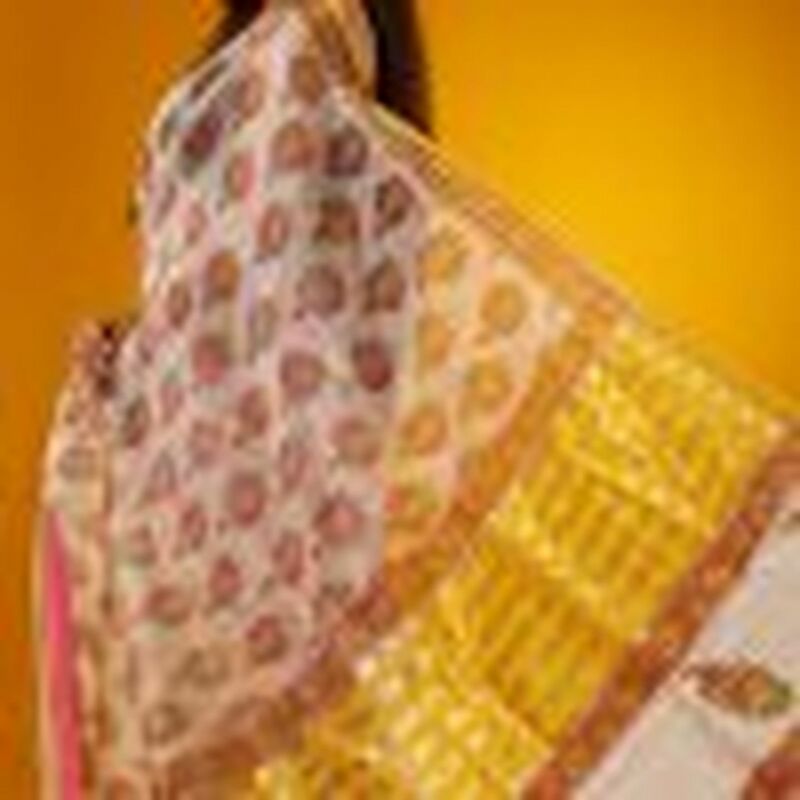 This technique uses transfusion effect in the loom to create Micro to Macro checks in the weave in one saree. 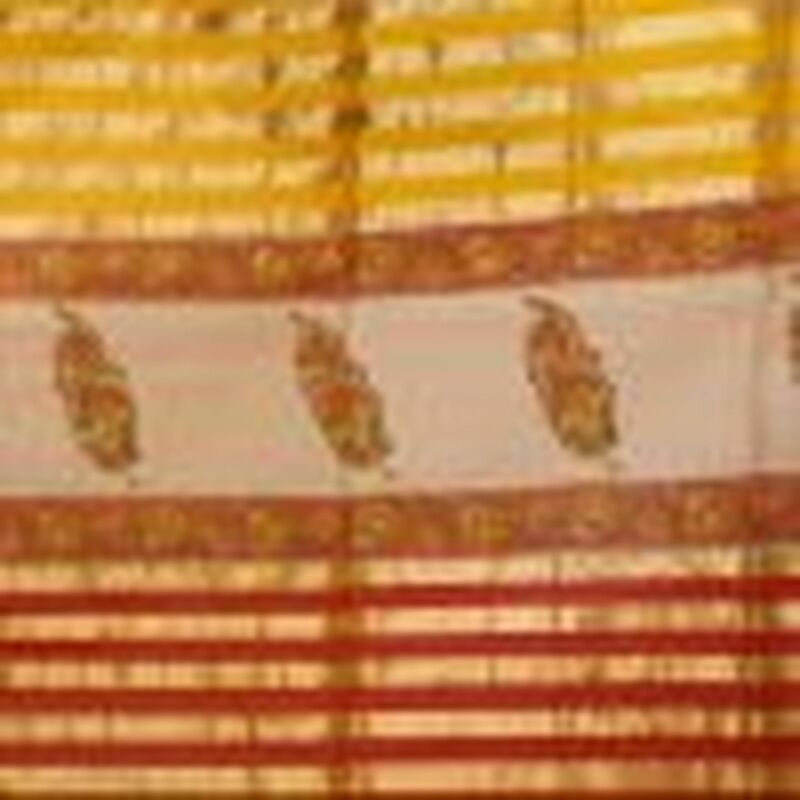 The pallu of this saree is unique with yellow & hot pink stripes interspersed with gold zari. 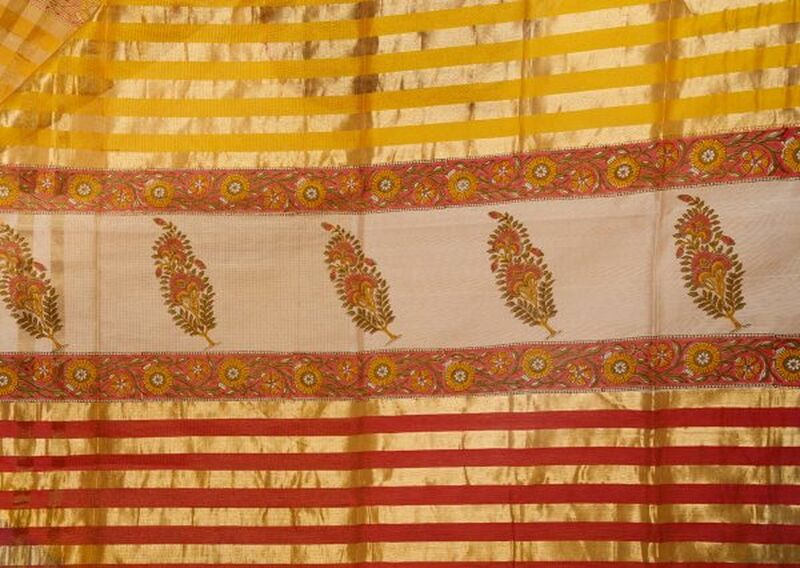 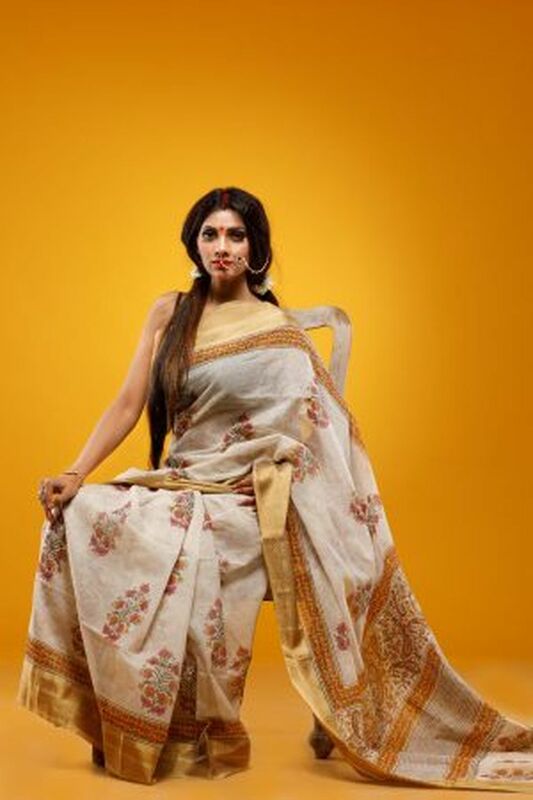 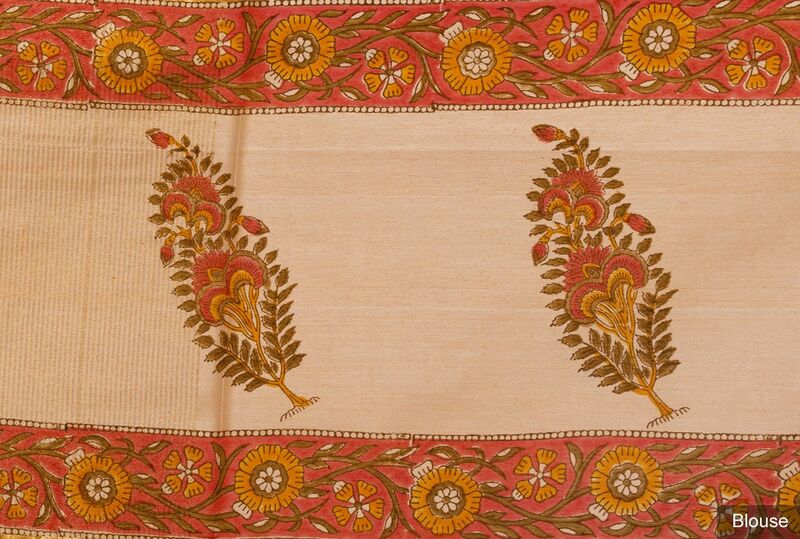 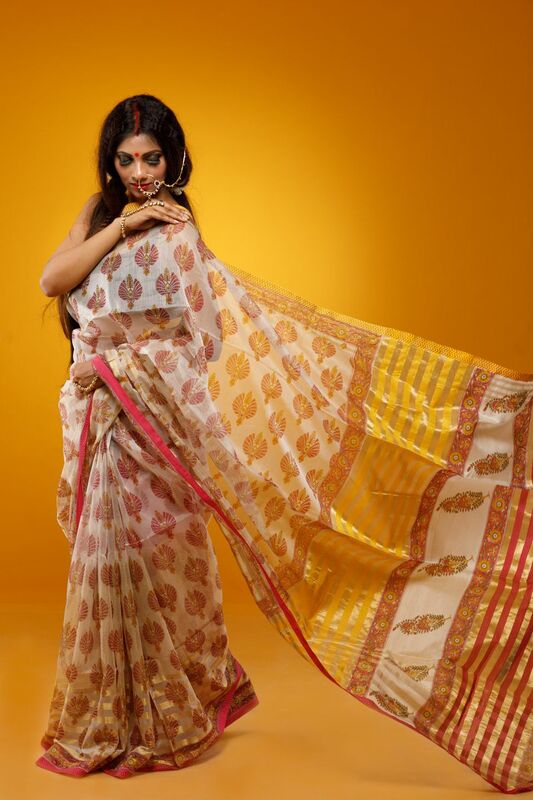 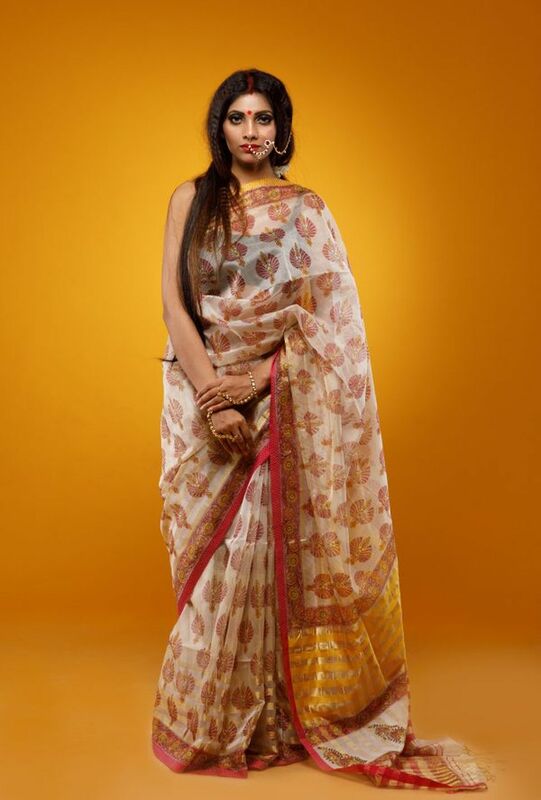 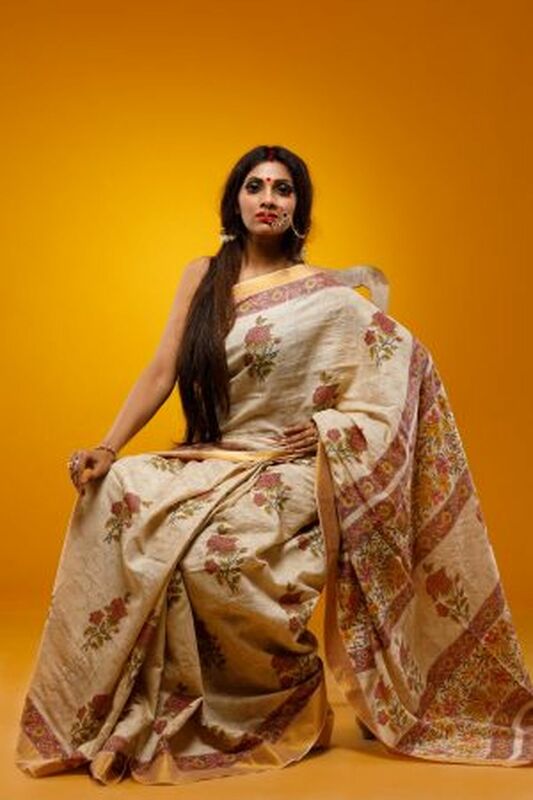 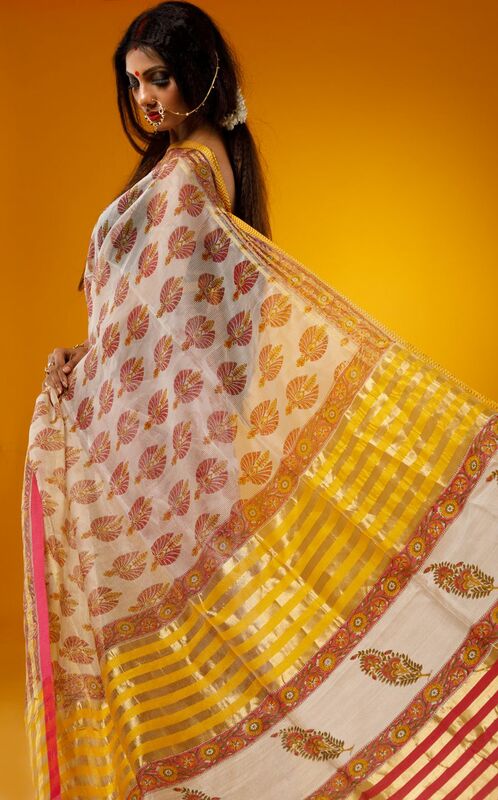 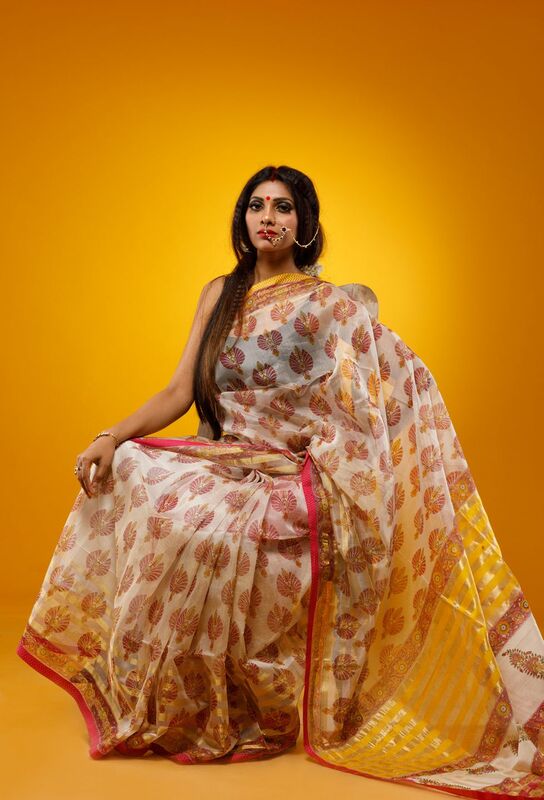 A unique piece of art that is practised by very old weaves of Maheshwar, this saree is further Hand Block Printed to create a class apart piece of art.